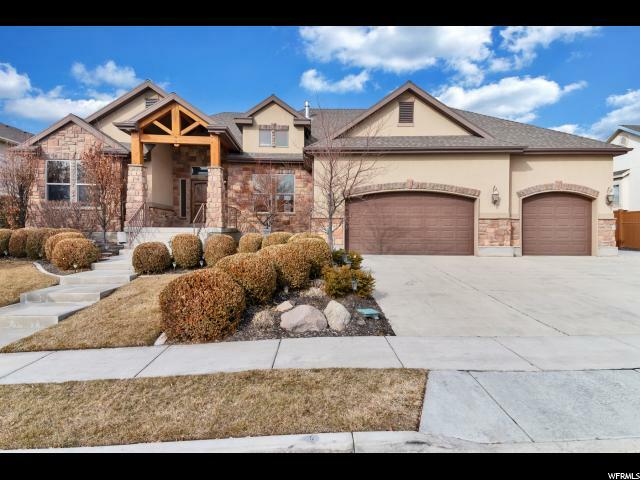 All HUNTERS GROVE homes currently listed for sale in Lehi as of 04/18/2019 are shown below. You can change the search criteria at any time by pressing the 'Change Search' button below. "Massive Price reduction for a quick sale! If you have been waiting for a big, fully loaded house at a great price, you have found it! This fantastic, quiet neighborhood is located just North of Lowes in Lehi. Only 4 minutes to the freeway (2 if you make the lights!) but you would never know it was so close since it is so quiet. Professionally landscaped for tranquility and ease of maintenance including a covered patio and an enclosed hot tub. Inside the home you are greeted with a big foyer and ample space for even the largest gatherings. The open floor plan perfectly provides conversation spaces without isolating anyone. With three fireplaces, a second suite on the main floor, and every upgrade imaginable, take the time to note the details! The first owners took such immaculate care of this property that you won't need to do anything before moving in. Pool table, and equipment included. A super value; recreating this home would cost close to a Million Dollars!"